My favorite thing to do is go out into the desert and walk among the hills and rock formations. I love the solitude and the freedom that it allows me to have out among nature, watching the lizards and horned toads scurrying over the rocks to their homes. Sitting underneath the stars that stretch along the sky, I know that I am in my element and I lie back and take it all in. I feel at peace among my lizard friends, here in the desert, where it is quiet. So very quiet. I am truly home, in the desert. Thank you Grant-SUD for our photo prompt this week! 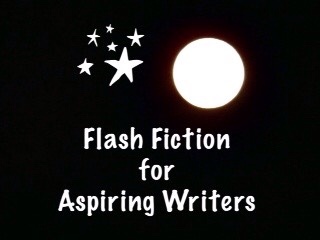 This is my 100 word story for the flash fiction challenge, Flash Fiction for Aspiring Writers. We are given a photo prompt and approximately 75-175 words with which we create our stories. It's fun and everyone is invited to participate. For more information, click HERE. finding your own special place, how lovely PJ! Even the arid desert has her beauty. I imagined taking the walk with you. I went to Red Rock last year and the wind was the only thing I heard, so peaceful. You went to Red Rock? You weren’t very far from my stomping grounds. Wow! How Coincidental? I was there is March and loved the beauty of the desert, so different from the area I live in. The colours were spectacular. You live in really lovely country. I just looked it up on Google and I live farther than I thought. I am about 500 miles away from Red Rock, Arizona. It really is beautiful country. It took a little getting used to, I live in very humid weather and my skin was so dry all the time. first time I was in a real desert and I was really pumped up. So many new things to discover, even the desert flowers bloomed for me! do you make trips to Red Rock often? No, I don’t go that way very often. My kids live in Phoenix so I go there about once a year. I don’t actually go to Red Rock, but I drive by it. USA is huge and the scenery just changes on such a drive I am sure. I have only seen parts of America and I love discovering new places when I am there. Fortunately my works takes me or else I would never be able to afford such a trip. Be blessed PJ on you visits to see your kids! That is wonderful that your work gives you such fabulous trips! Like you, I wouldn’t be able to afford those type of trips either. Thank you Gina! How lovely. 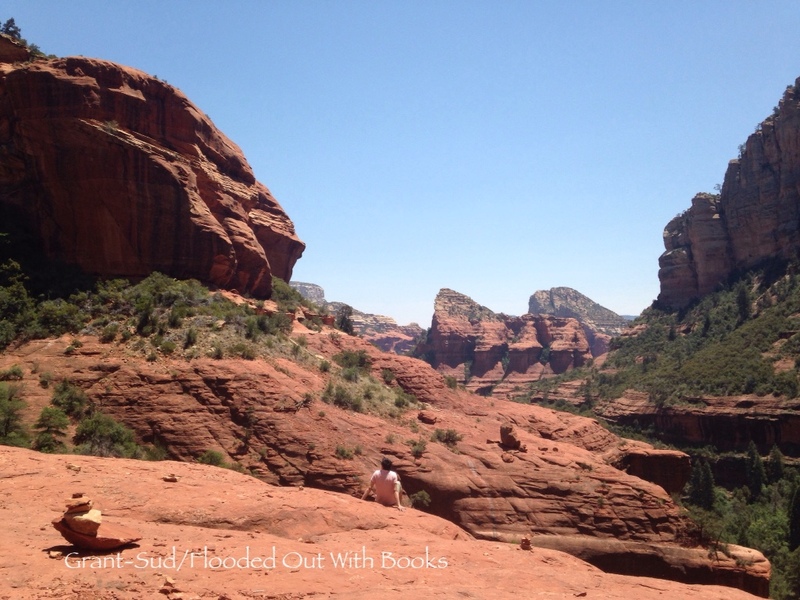 Your photo reminds me of the red rocks in Sedona. I’m not sure where this was taken but it certainly does look like Sedona, Arizona! It’s such a beautiful area. My husband’s grandparents used to live there. It really is a beautiful area. I drive by there on my way to visit my kids. I’d love to visit a desert one day. It’s a long way to go, though! Yes, I imagine it is a long way from Britain! It isn’t too far from me. This area looks like it is about 400-500 miles from me. I love going to the hills and mountains too! I’m not sure where this photo is from because it is from Grant-SUD but it looks similar to my area except for my area isn’t red rock. The red rock cliffs and rock formations are about 200 miles from me. Quiet with stars, that will do for me. Yes, stars are wonderful to sit under and relax. It really is! No matter where that place we call home is. The desert can be such a quiet place of reflection. Great story to illuminate that notion! There is beauty in all of nature, whether it be rugged or mellow. A lovely piece of writing. Thank you so much, Keith! Well you’vereally got me pegged in those one hundred words. It took me about 10 years of living here before i felt this way but now the desert is truly home. I know what you mean. When we first moved here I thought it was the ugliest landscape I had ever seen and now I think it is beautiful. Thank you Lynn! I hope you are doing okay! Are you feeling better? Lynn, you are always on my mind and especially so when I don’t see you posting. I wish you many blessings and healing health in 2017! Definitely a lover of solitude! Thank you so much, Sailaja! Lovely picture, lovely story PJ! Loved it! Loved this. Funny how we find peace in different places. Mine is the ocean. I have heard from a lot of people that there place of peace is the ocean. I live too far away from the ocean for that to be my place of peace. A desert has its own beauty. I love going out to the hills where there are cliffs, big rock formations, and hills. It’s very relaxing! You paint such a sense of peace. The sense of peace and wholeness is just lovely. Ahhh nature, there’s nothing better than being able to spend time with nature. To sit and be quiet and observe all that’s around you. You do sound like you are very “at home” in the desert. Love this PJ!! Thank you Deb! I am at home in the desert since that is where I live LOL! And you could feel that in your writing…it agrees with you!! LOL! Thank you! I wasn’t finished with that comment and I accidentally hit the wrong key and went out to the Internet. LOL! I live in the desert but it isn’t a desert like Arizona has. I hated it when I first moved here (when I was a little girl) but now I think it is beautiful. My sister’s girlfriend just arrived in Scottsdale for a conference, her first visit to the desert, she loves it! That is where my son and his wife and children live plus that is where my mom is in a nursing home. She loves her home. I thought you had family there. She said it is beautiful! I think it is beautiful there. My daughter lives on the other side of Phoenix (West Phoenix) Scottsdale is East Phoenix. I have a dear friend from a previous who moved to AZ with her husband 25 years ago now…anyways they just moved from Sierra Vista to Marana, do you know where that is? I think I have heard of Sierra Vista but I have never heard Marana. I know it’s near Phoenix because they moved closer to their doctors. It must be one of the suburbs.